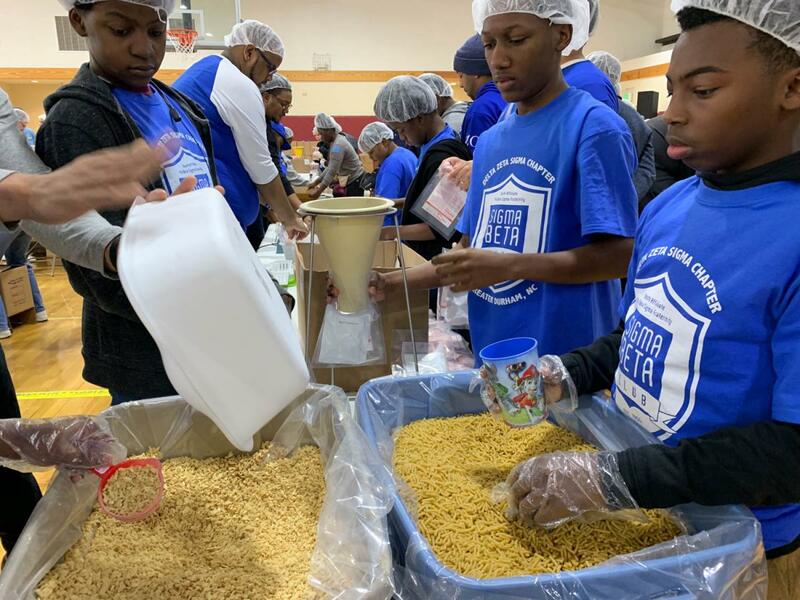 On January 21, 2019, Southwest Durham Rotary Club hosted its annual MLK Day of Service in Durham. 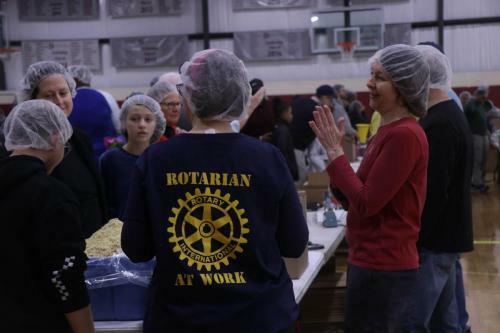 Southwest Durham Rotary Club partnered with other Durham Rotary Clubs, as well as Duke University, Interfaith Food Shuttle, Meals of Hope and The Duke School, packed over 100,000 meals that were distributed to North Carolina food banks in Durham, Orange, Wake, Chatham and Johnston Counties. Over 200 volunteers from Rotary, Duke, Duke School and the Durham community packed this many meals in less than four hours. 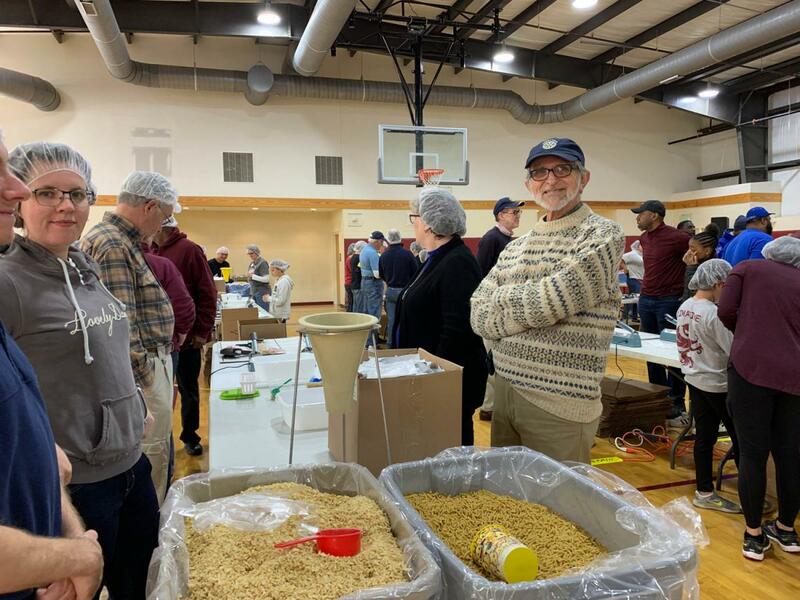 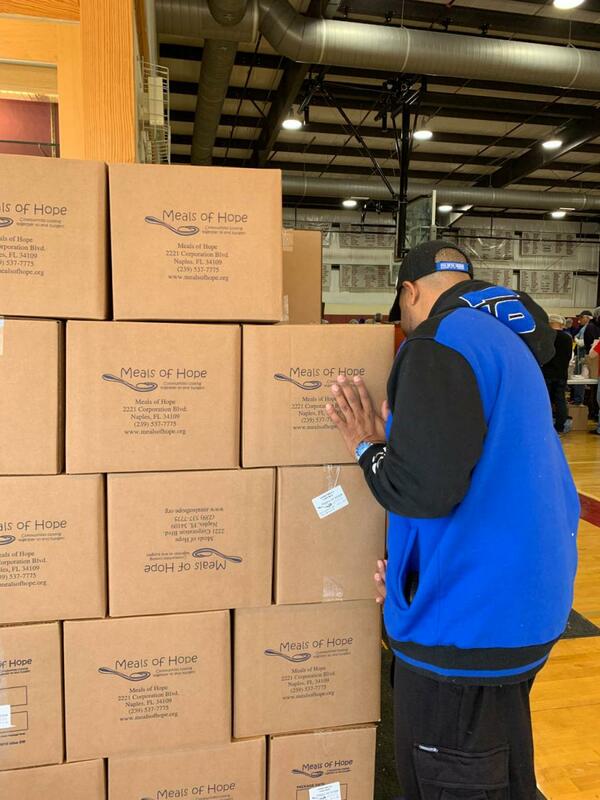 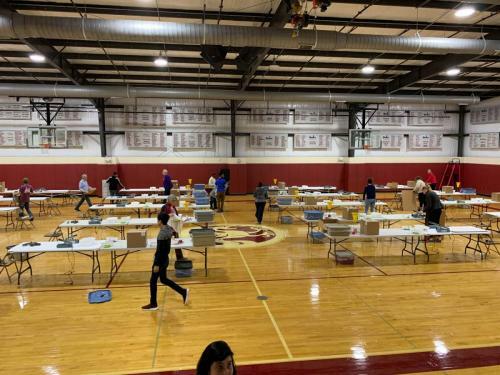 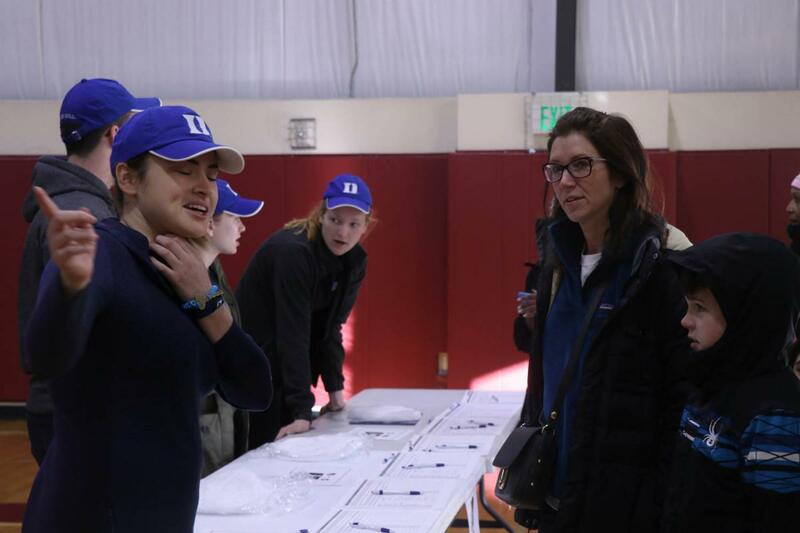 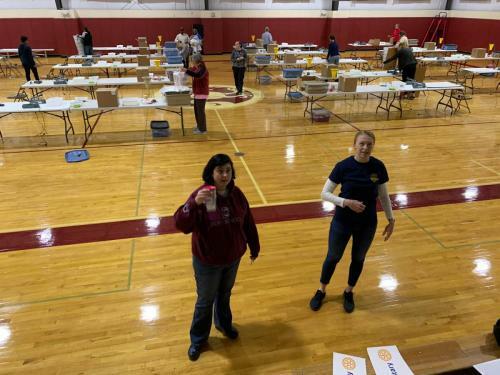 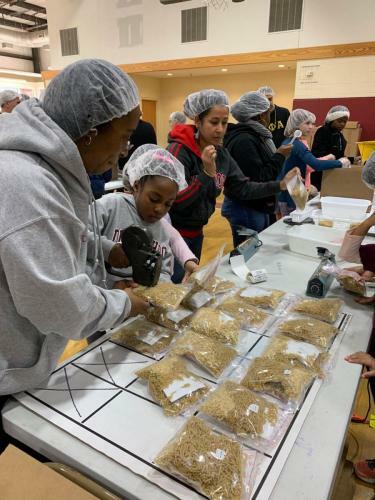 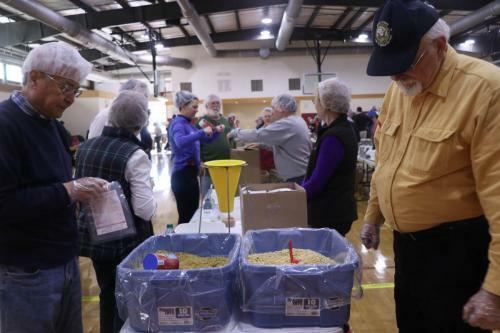 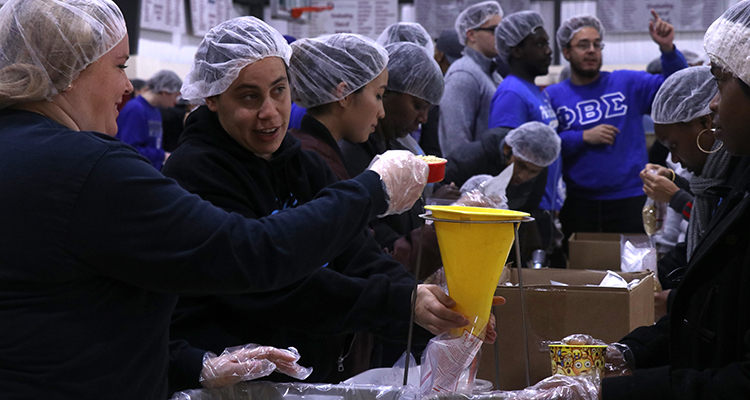 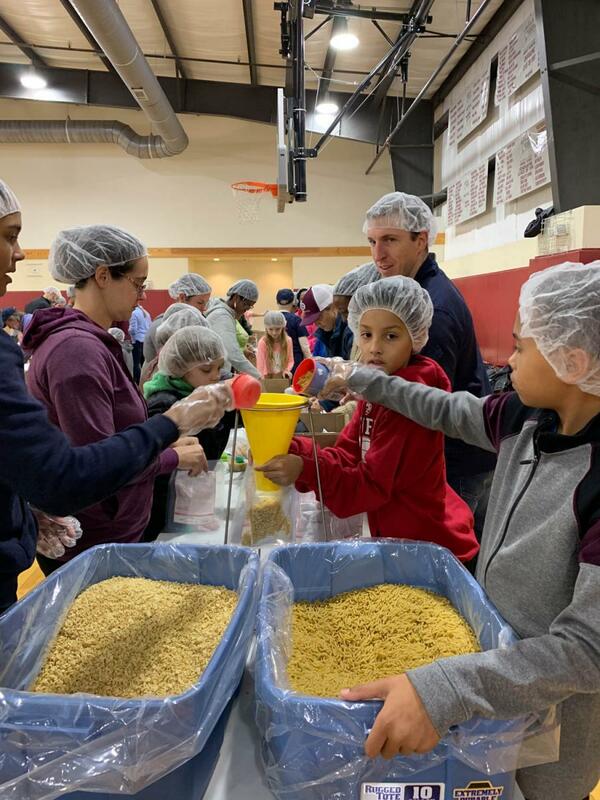 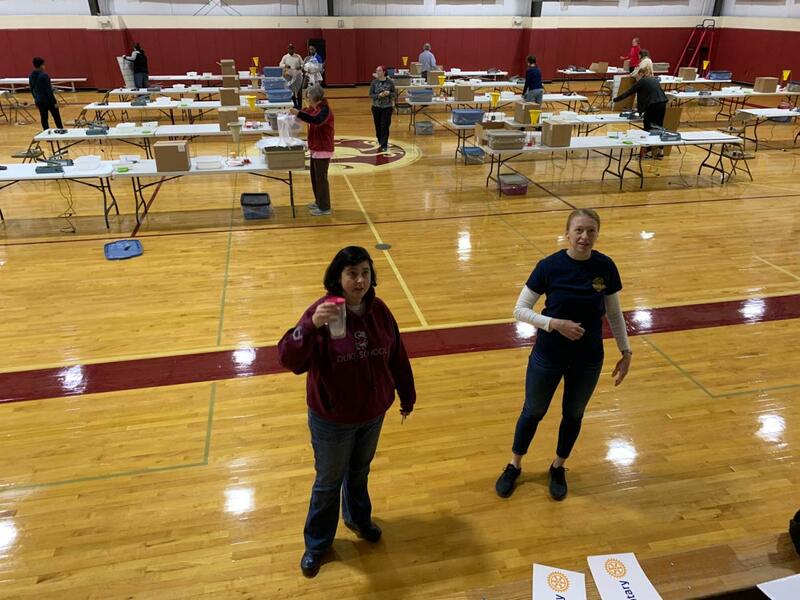 The event was held at The Duke School, and the materials provided by Meals of Hope, a non-profit founded by Rotarians that began as a food packing organization focused on food packed for the United States. They developed five meals for the American palate, and added vitamins, minerals and proteins. Learn more about Meals of Hope here. 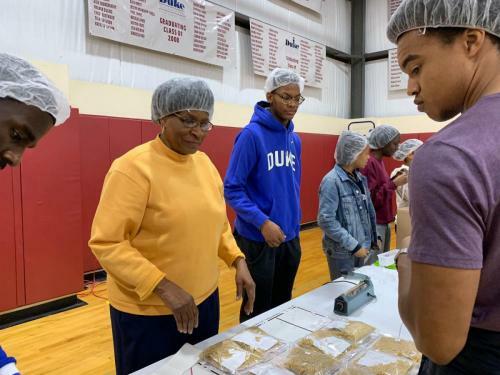 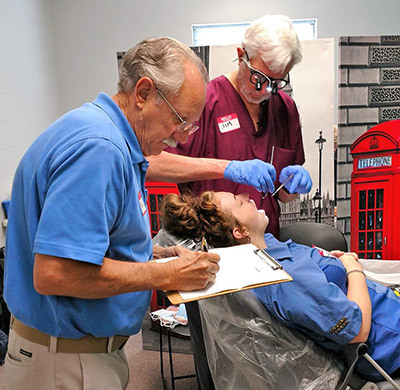 Southwest Durham Rotary Club applied for and received a $19,000 district grant from Rotary District 7710, with this project serves as its annual Priority One grant. 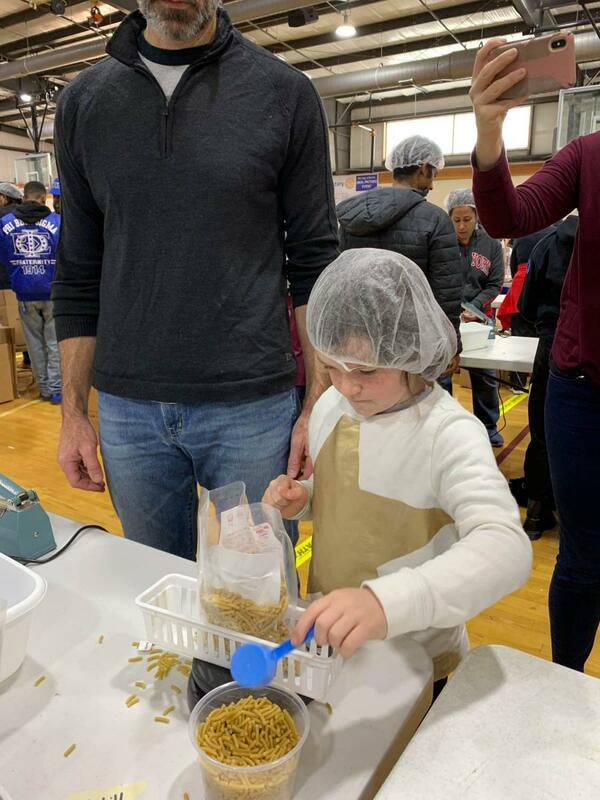 Below are photos from the day! 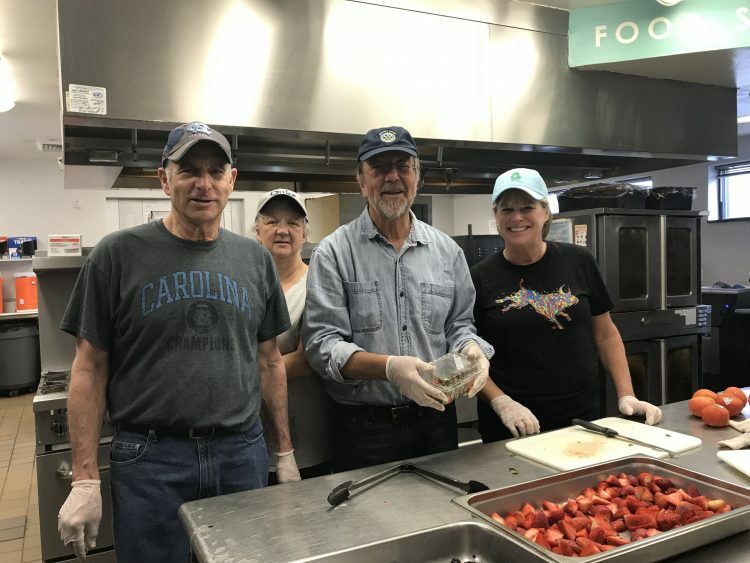 On February 2nd, members of SW Durham Rotary club served breakfast at Urban Ministries, a community and homeless shelter in downtown Durham. 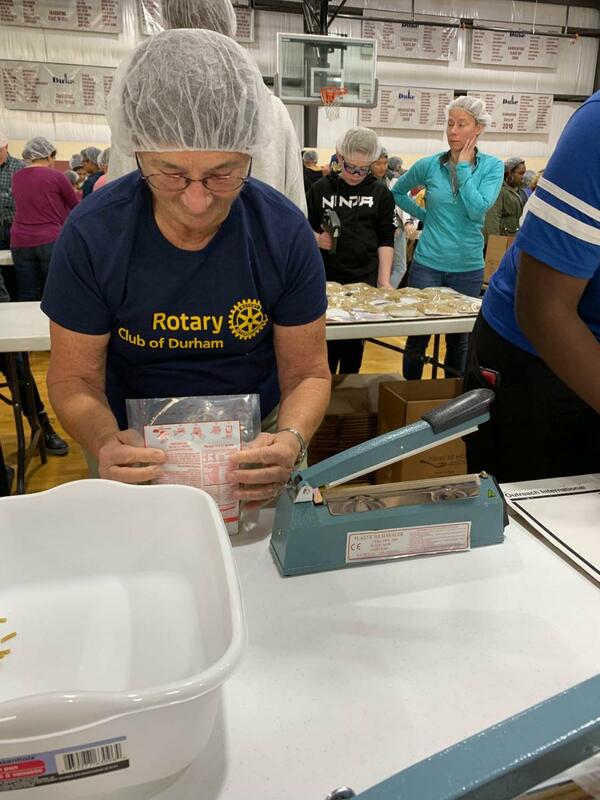 On February 24th, SWDR and members of the downtown Durham Rotary club had a day of service at Urban Ministries as part of a district grant project in which we purchased a new commercial stove and ice maker for their kitchen. We paid for the meals, prepared and served breakfast, and planned, prepared and served dinner that day. 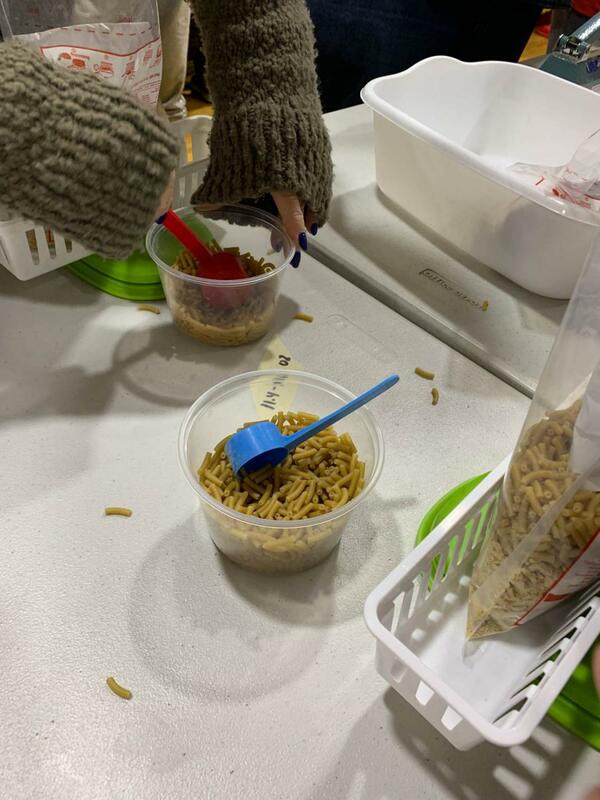 Dinner was a special cookout meal with hot dogs, hamburgers, and all the picnic fixings, plus an ice cream sundae bar. 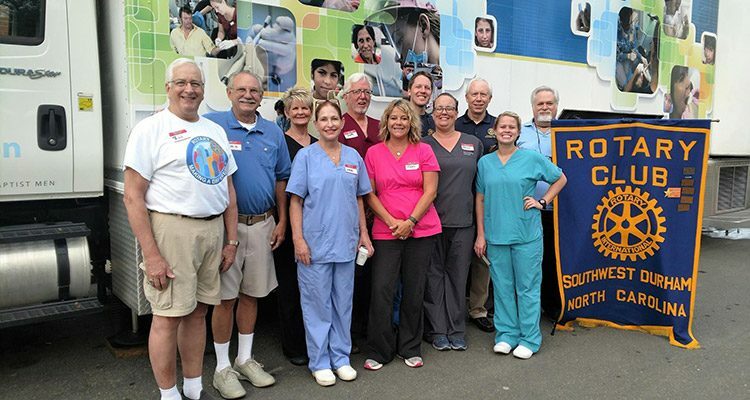 The Rotary clubs love working with Urban Ministries and hope to continue working with them for many years to come. 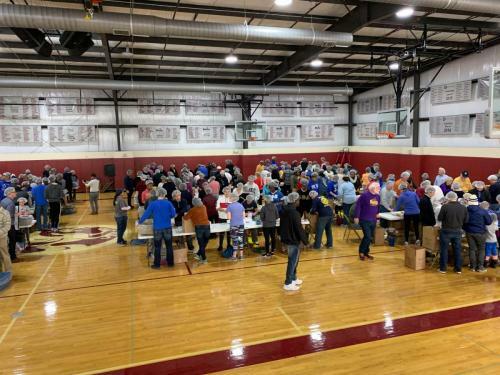 A photo album from both days is below. 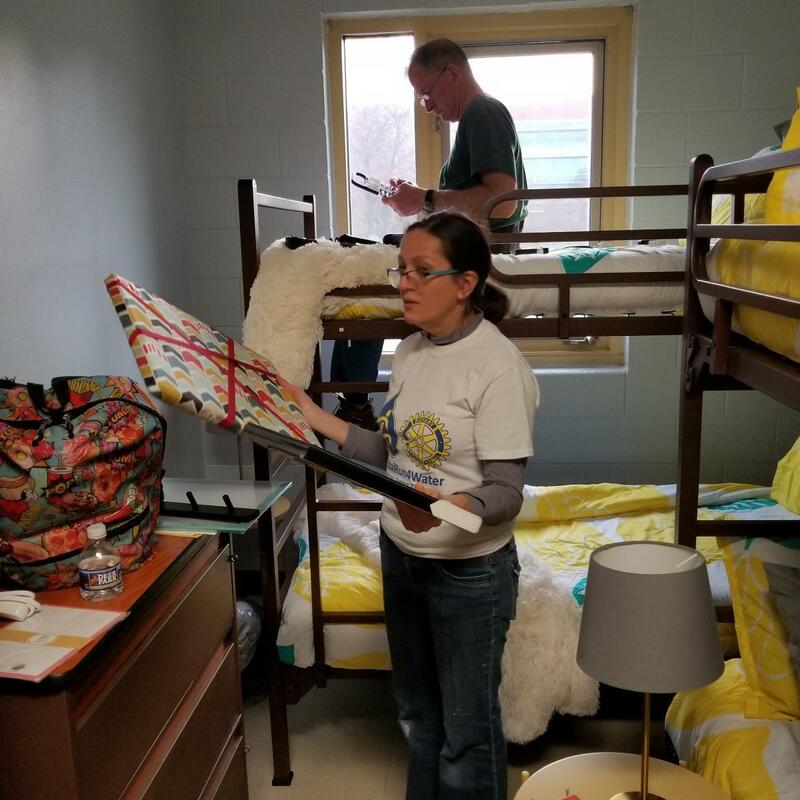 On November 18, members of Southwest Durham Rotary, the Rotary e-club of District 7710 and other area Rotary clubs came together to spend the day renovating family bedrooms and a family common room at Urban Ministries in downtown Durham. 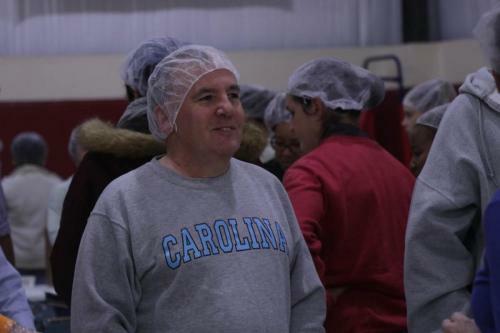 Urban Ministries is a community shelter providing food, shelter and support programs for those in need in the Durham Community. 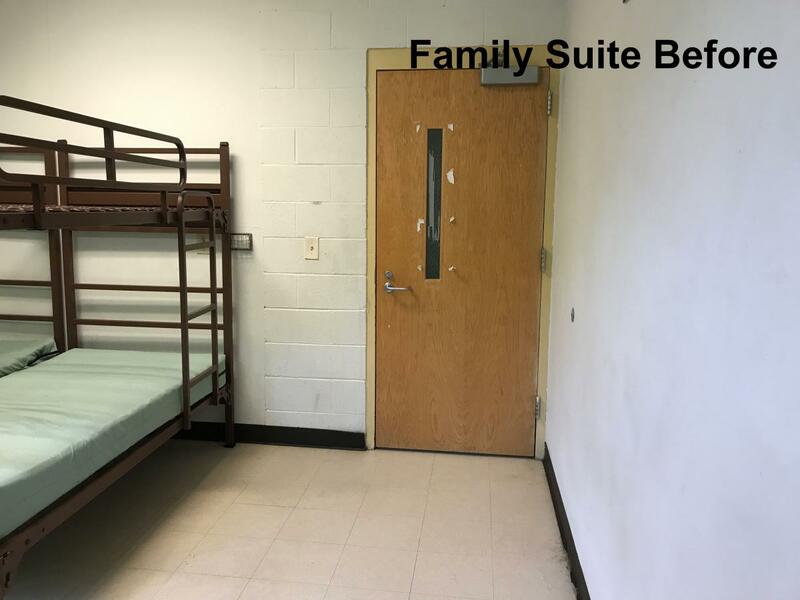 Families staying in these rooms, often single parents with young children, stay here for up to 90 days while permanent housing and jobs are worked out. 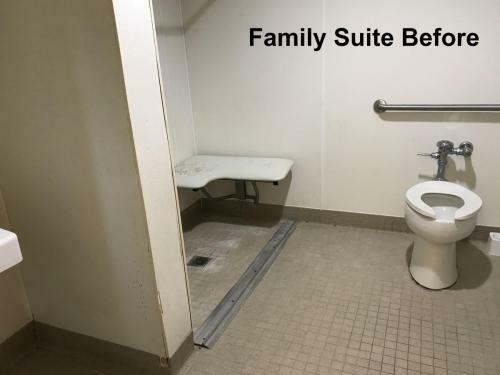 The rooms, before renovation, have an industrial feel — cement walls, linoleum floors, fluorescent lighting. They are functional but not particularly homey. Each bedroom suite has four twin bunk beds and a bathroom. The family room is a larger room where residents can hang out, eat, watch TV, kids can play and so forth. 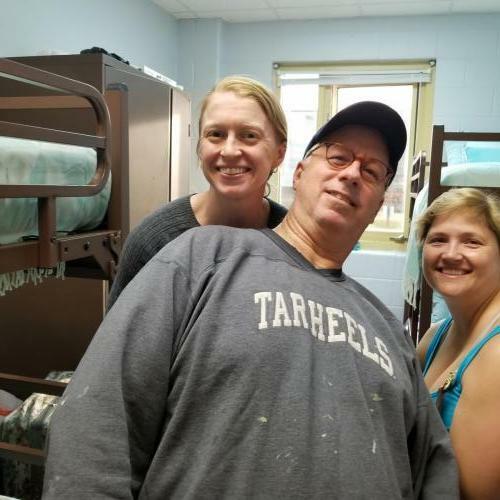 Lotta Love, a non-profit started in the Triangle area by interior designer Charlotta Sjoelin, designs updates for rooms in area shelters that make them more comfortable and homey for the families staying there. 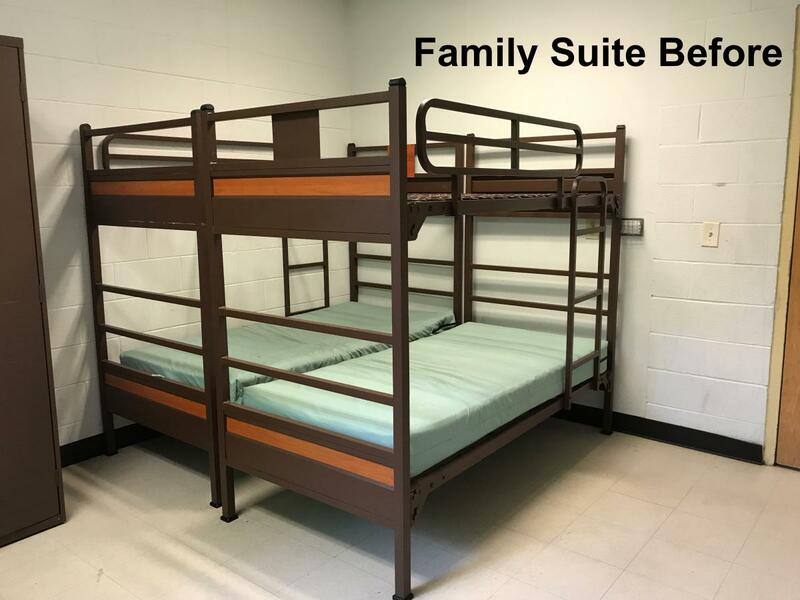 This not only makes the families feel good, but it also helps prepare them for their permanent homes. 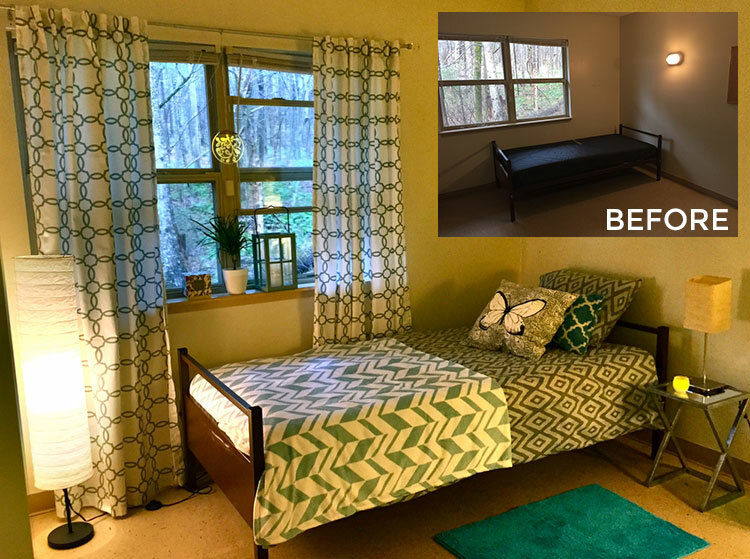 With Charlotta’s design help and the assistance of a district Rotary grant, we remade these rooms by painting all the walls, adding new bedding and towels, hanging artwork and curtains, and adding rugs, storage and lighting. 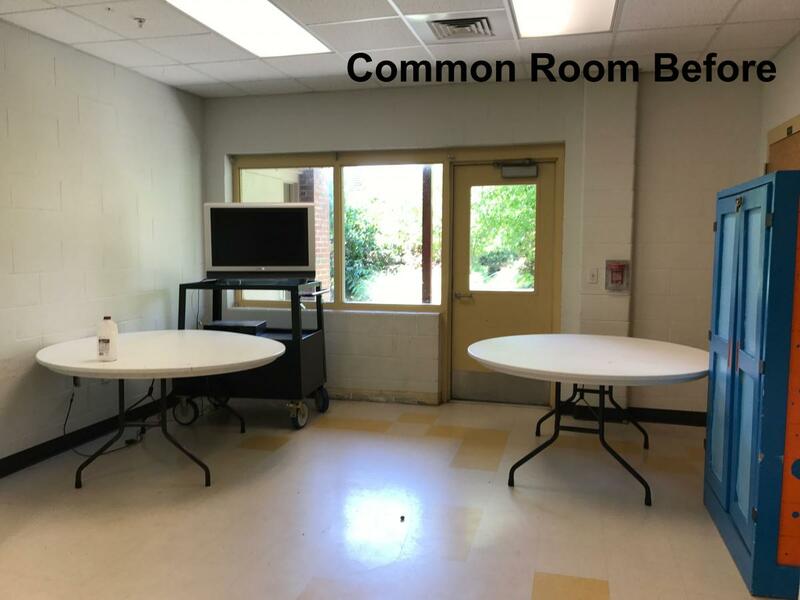 To the common family room, we painted the walls and installed a new TV and wall mount, built a large new kitchen table and benches, a wall bar with seating, a kids play area and some additional seating. 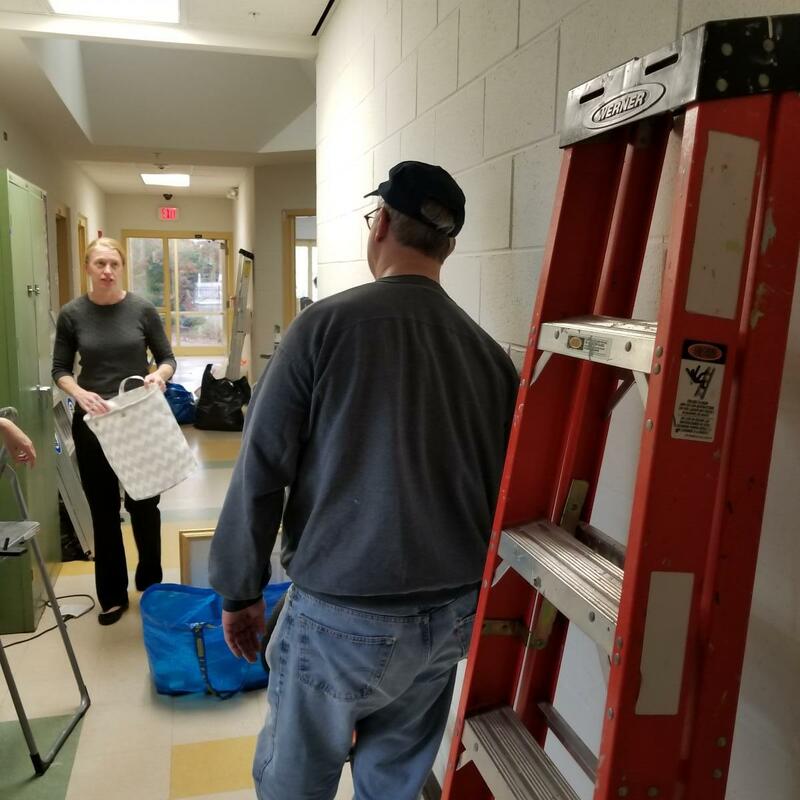 Below are photos of the day we spent making over the rooms, including some before pictures and some photos with the deserving families. 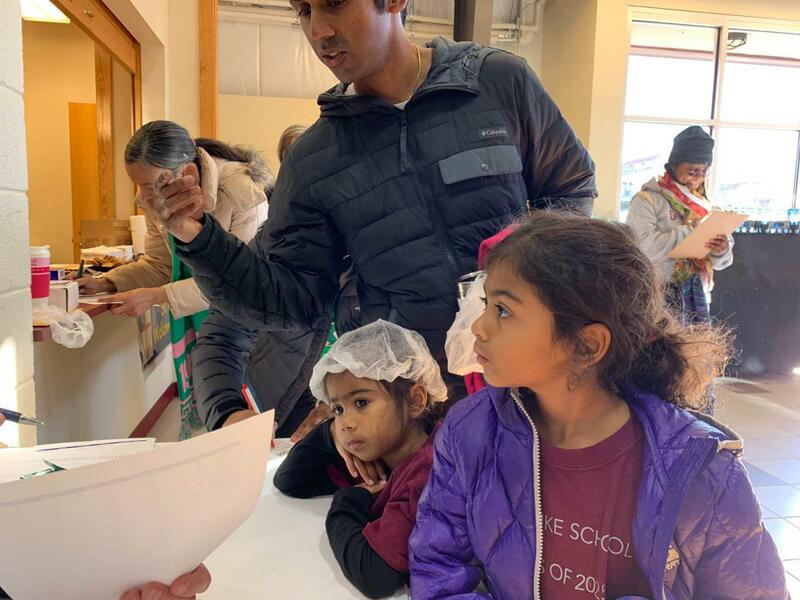 It was great to meet them, especially the kids, who were very excited about their new rooms. On November 18, in partnership with Lotta Love, Southwest Durham Rotary, the Rotary e-club of District 7710 and other area Rotary clubs will renovate four family bedrooms and one family common room at Urban Ministries in downtown Durham. Urban Ministries is a homeless shelter that provides food, shelter and support programs to neighbors in need within the Durham community. 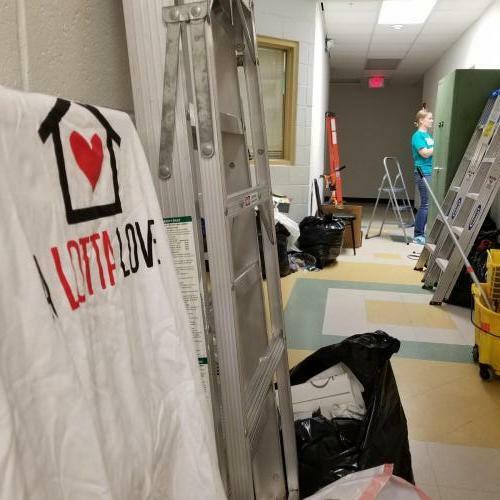 Lotta Love is an organization founded by Charlotta Sjoelin, an interior designer, which works to make shelters into more safe, dignified and inspiring living spaces for the residents who stay there. 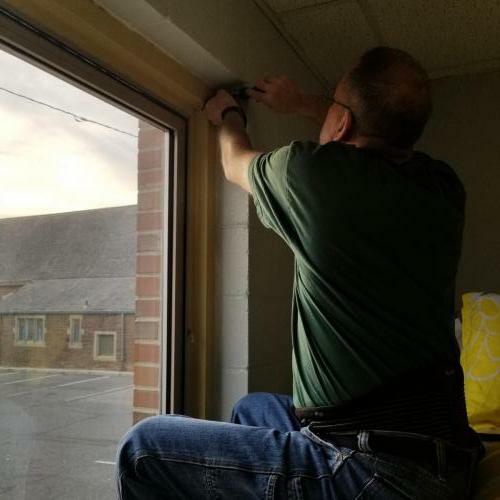 Lotta Love has helped make over rooms at many area homeless, women and children’s shelters in the Raleigh-Durham-Chapel Hill area, and has assisted others in starting their own chapters in cities across the United States. With the help of a district grant, we will paint all the rooms, replace all bedding and towels with brand new linens, add art, rugs, lamps, mini fridges and other home items to the bedrooms. To the common area, we will also add a breakfast bar, a new large table and seating, a new TV and a children’s play area filled with toys and games. Volunteers are needed for painting prep, painting, light carpentry work, moving furniture and setting up beds, hanging artwork, etc. 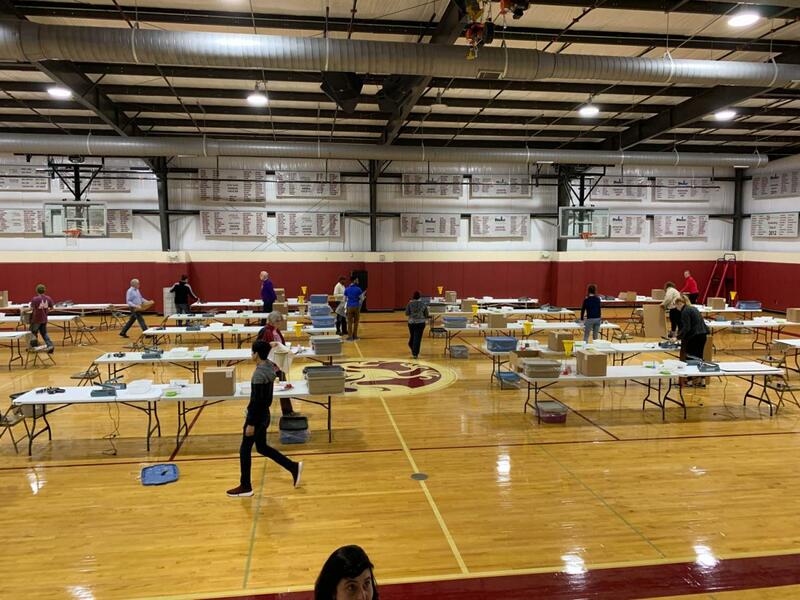 A link to sign-ups will be posted shortly. 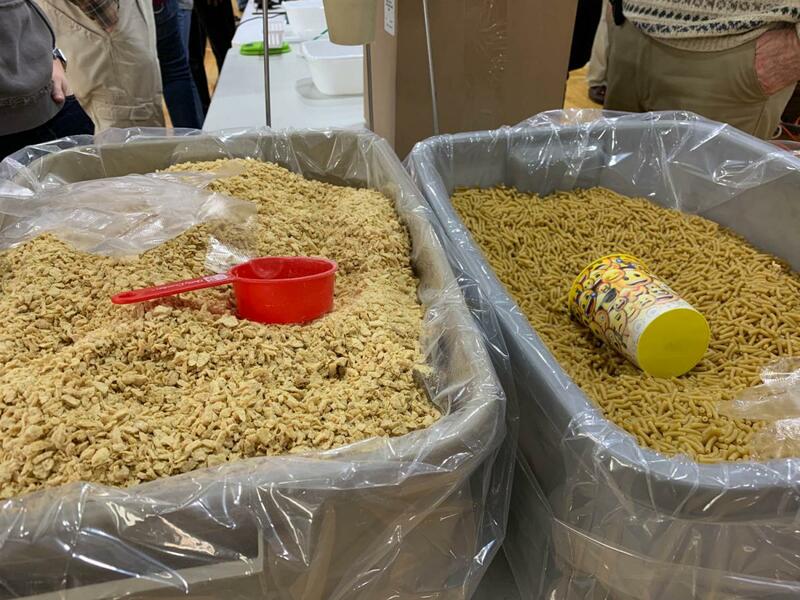 If you have questions or wish to make donations to this project, please contact Sara Abrons here.